Bitcoin ATMs are increasingly gaining popularity. Just last month, 55 new Bitcoin ATMs were installed in different cities, representing a 1.6% increase, from 3415 at the start of the month, to 3470 across 72 countries. However, the most captivating news about Bitcoin ATMs was the entry of two-way Bitcoin ATMs into the market. Malta, a forerunner and revolutionary in all things cryptocurrency became the first country to install these kind of ATMs. Australia is following closely. Already, two companies in the country, Stargroup and DigitalX, have come together in a partnership to develop two way ATMs that cryptocurrency enthusiasts can use to buy as well as sell Bitcoin. 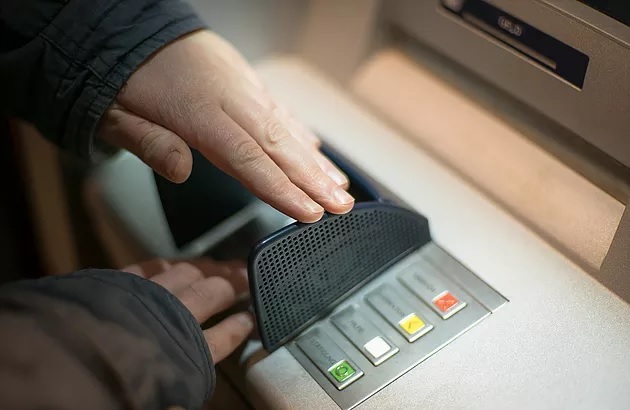 For cryptocurrency companies like BQT, Qupon and HFC Coin, two-way ATMs will open new avenues for the industry by enabling users to convert fiat currencies into digital currencies and vice versa. Cryptocurrency players see the entry of two-way ATMs as critical to speeding up the fiat-cryptocurrency conversion process. From one-way ATMs, which are more common, users purchase Bitcoins using fiat currencies by depositing fiat currency then entering a public key for Bitcoins to be sent to their online wallet. According to Todd Zani, the CEO of Australia’s ATM deployment Service, Stargroup, the two-way Bitcoin ATMs make everything accessible to users instantaneously. “Bitcoin owners can not only buy Bitcoin but more importantly can cash their Bitcoin out,” he says. While two-way Bitcoin ATMs can only serve Bitcoin users at the moment, there is a possibility that other cryptocurrencies will be included within a short order. This will be helpful considering that more blockchain-based projects like BlockVest and IOU that will generate different cryptocurrencies, are still being developed. Already, Malta is offering two way services to Litecoin users. Despite the possibilities created by the entry of two-way Bitcoin ATMs, Andrei Huseu, CEO of Wealthman feels the machines might not have a big impact on the market in the long run. This notwithstanding, more still needs to be done to improve cryptocurrency services via ATMs. In recent past, customer confidence has been shattered following widespread hackings that have hit both cryptocurrency exchanges and Bitcoin ATMs in different parts of the globe. It remains to be seen whether or not the use of two-way Bitcoin ATMs can help deter large scale hackings. Even so, there is a possibility that hackers will face tougher times accessing money once users begin to utilize the machines because it will be possible to buy, withdraw, and convert cryptocurrencies, even stash them in safer spaces than virtual holding banks. With their personal wallets, users will likely be guaranteed of security and know that their money is not only within arm’s reach, but safer as well. The high fees associated with each transaction also needs to be addressed before utilization of Bitcoin ATMs can become the norm as Chris Butler, CEO of URAllowance notes. Everything that happens in the cryptosphere has an apparent domino effect. Now that two countries have taken the step to utilize two-way Bitcoin ATMs, it is presumed others will follow, considering that already, so many one-way Bitcoin ATMs already in existence. Widespread utilization of these machines will effectually increase safety and give users greater control over their money.